1) Katelyn Smith (Grade 12): 1st place win for 1500m- 5:39, beating 2nd place by 30 seconds 2) Tori Brown (Grade 10)- 2nd place for 100m- 13:75. We wish both the best of luck at Provincials. 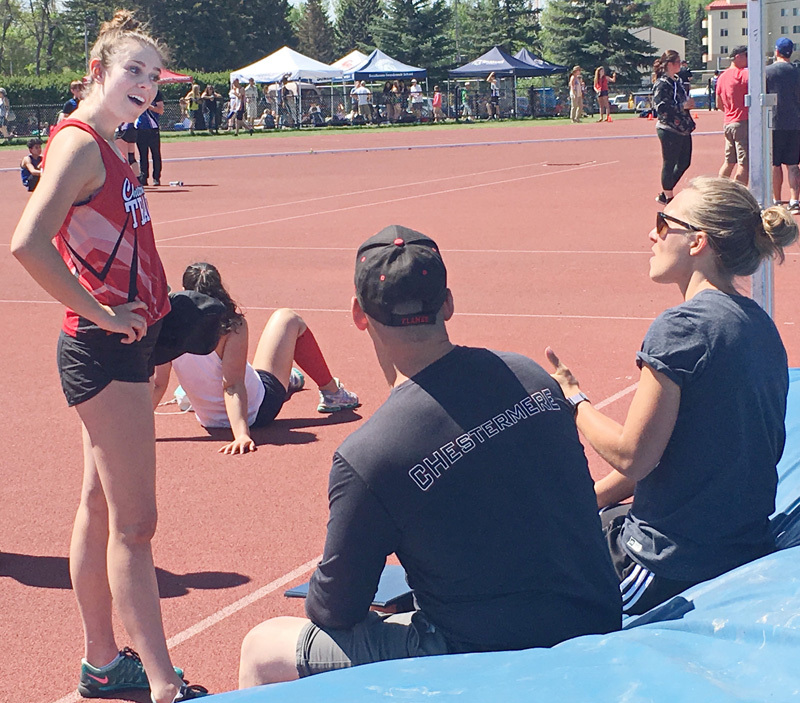 1) Cadence Meszaros (Grade 12)- 3rd place for Javelin 2) Hope Stockburger (Grade 10)- 3rd place for High Jump. Congratulations to everyone who participated in track this year. The rugby teams are looking forward to the 2nd annual Rocky View 7’s Rugby Championships which will be held on Monday, June 4th at Bert Church in Airdrie. Unfortunately the boys soccer team did not make the playoffs, so their season is over. Thanks to the coaches for their time and commitment to the boys soccer team. Cowboys spring camp has begun. Camp will run for two more weeks. Practices the next two weeks, Monday through Thursday, will run from 4-5:30. This Friday the Cowboys will scrimmage with Strathmore. Next week spring camp will conclude with a jamboree in Cochrane on Saturday June 9th. Anyone interested is encouraged to come out. Please contact coach Ledieu at sledieu@rockyview.ab.ca.